These are for sale for $8 (approximately 4.5 by 4.5 inches) from Lucky Find Designs on Etsy (via Flickr). Lucky Find Designs made the cupcake purse I bought a while ago and I totally love it. 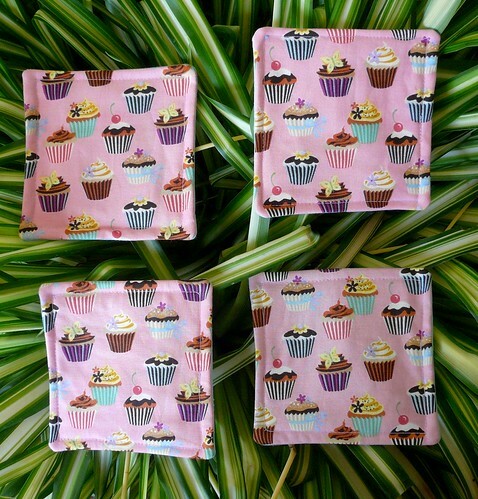 Thank you for featuring my Cupcake Coasters. Glad you love your purse!